It is too common an occurrence that truck tires are overlooked by drivers and maintenance crews before the driver is allowed to take to the road. Truck tire blowouts can cause drivers to lose control of their rigs while traveling at high speeds and shredded tires and treads can cause unimaginable damage to other vehicles on the road. 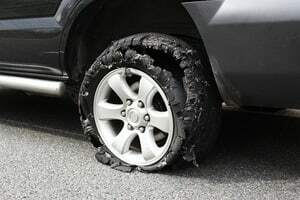 Tire blowout accidents are easily one of the most preventable types of accidents that occur on the road because a simple visual inspection and regular testing of tire pressure can allow drivers to detect when a tire has reached its last leg and needs to be replaced. Federal mandates require truck companies and drivers to maintain trucks with tires that are safe and do not pose a hazard to others on the road, but these regulations are often ignored or not taken as seriously as they should be. The requirements for tire inspection require drivers and maintenance workers to make sure that tires meet the following conditions before being allowed on the road. There may be no visible defects on the tread of the tire such as belt material or body ply. The presence of these abnormalities is an indication that the tire is worn and in need of replacement. Tires must be manufactured specially to bear the weight of the load being transported. More massive loads place additional stress on tires and tires designed for heavier loads must be used when appropriate. Tire pressure must be checked and maintained at appropriate levels. When tires are under or overinflated, they do not wear properly and are more prone to blowouts. Tread level must be monitored, and bald tires must be replaced. In many cases, a simple visual check will reveal that a tire is bald or has little tread remaining, but drivers are in a hurry to get back on the road and assume that the tire will not explode or flatten. By continually putting off a tire replacement, they are putting their lives and the lives of others in jeopardy. When truck tires blowout, it results in the violent separation of material from the tire and the evidence of blowouts is often strewn across our highways and visible to drivers long after the blowout has occurred. Imagine being in the vicinity of the tire when it blows out though and you can understand the dangers presented to others. The tread of the tire can impact other vehicles and cause motorists to lose control of their vehicles and crash. Also, the truck itself may become uncontrollable and overturn or be thrown into the path of oncoming traffic. The mass and force behind large commercial trucks make them capable of incredible destruction, and the victims of these accidents often suffer severe injuries. If lucky enough to survive the crash, victims are commonly affected by their injuries for the rest of their lives as common injuries from truck accidents include traumatic brain injuries, spinal injuries, deep lacerations and amputations, paralysis and shattered bones. It is tragic for anyone to need to endure these injuries over an issue that is entirely preventable if drivers and maintenance staff would merely do their jobs and inspect their tires before driving. The Rosenfeld Injury Lawyers LLC represent people just like you who have been injured due to the negligent actions of other people or corporations. If you or a loved one has been hurt, we would love to help you on the road to physical, emotional and financial recovery and have access to a network of professionals who will be able to address your medical and legal concerns. 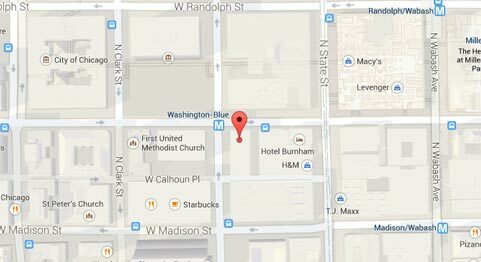 Contact us today to arrange a free consultation at one of our offices or a location of your choosing— we are happy to travel to you. We will collect all of the information we need to perform our investigation and to determine the value of your case and what you might expect from the process of litigation as a whole. Once we have done so, we will be able to offer you the best advice on how to proceed with your case and make the first step. Because your best interests are our interests, we will never require payment from you until we’ve collected recompense on your behalf.